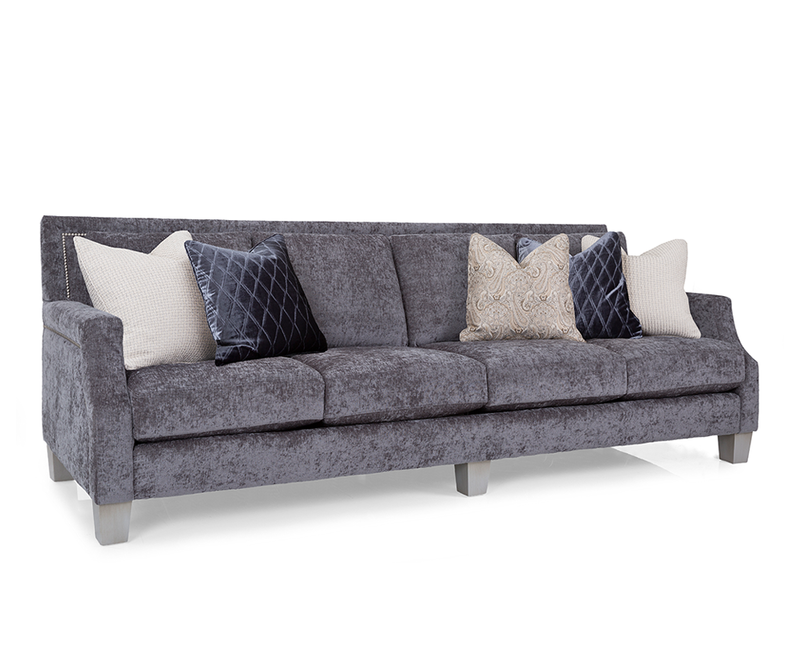 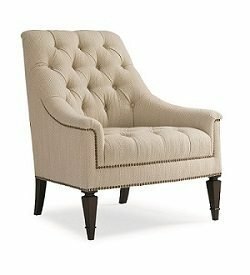 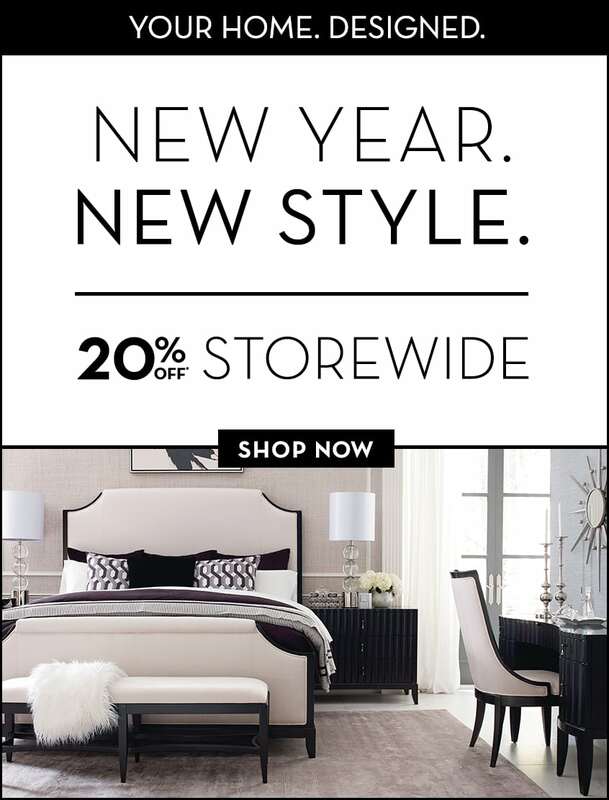 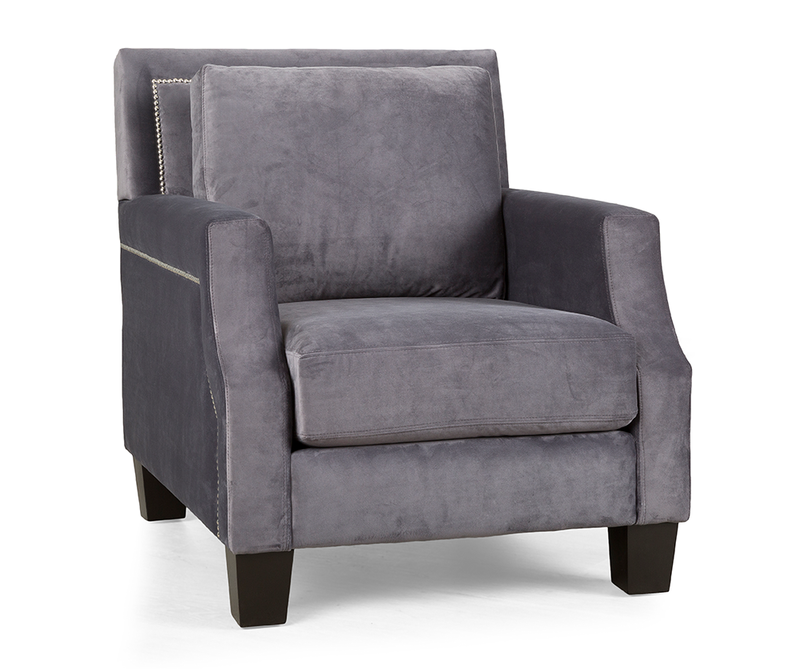 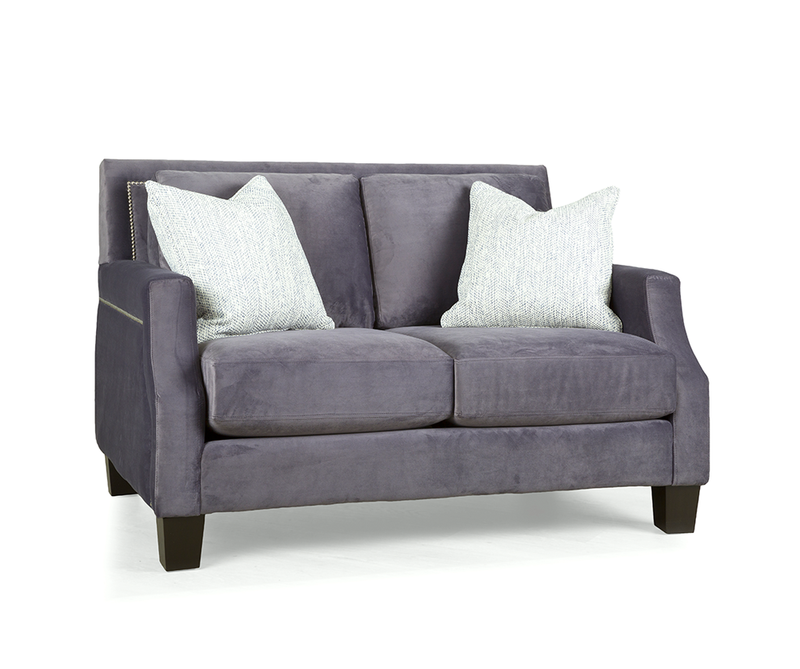 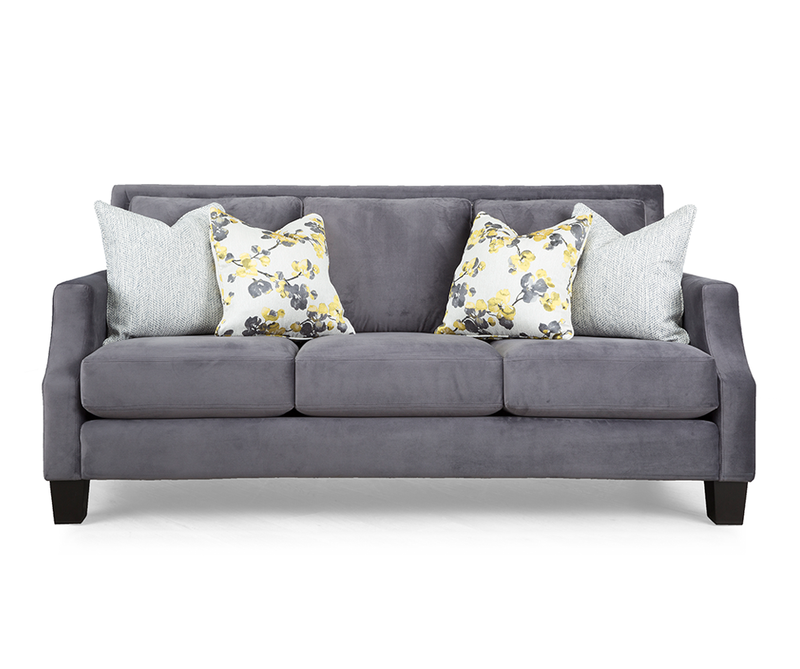 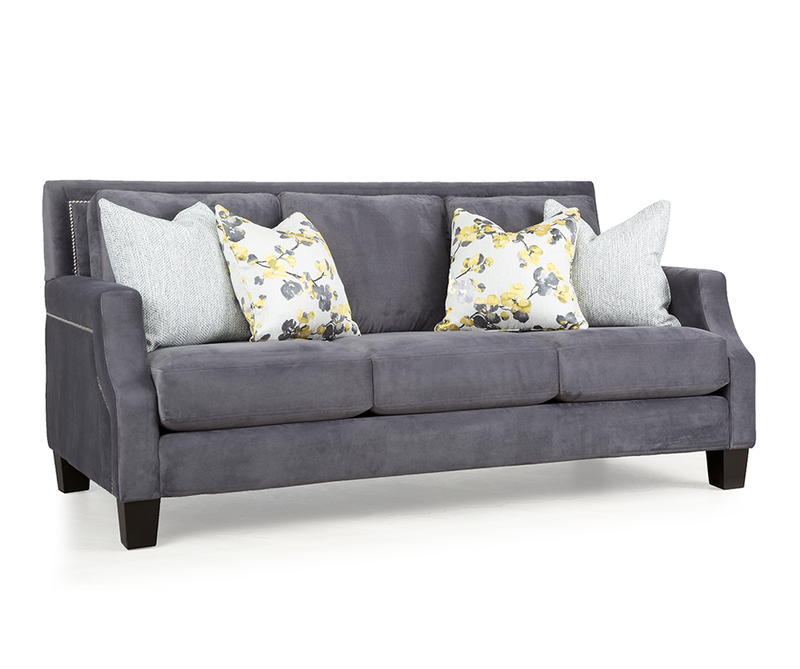 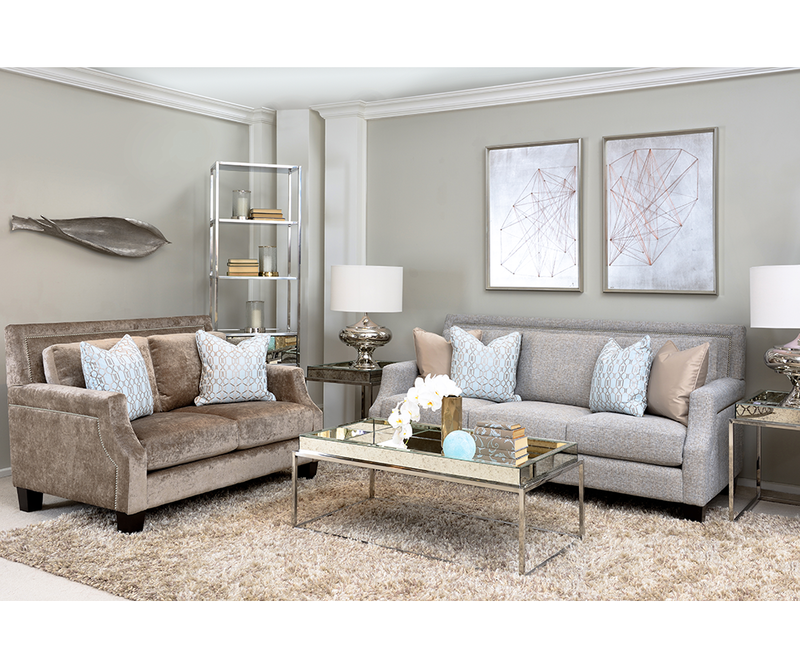 This lovely and curvaceous upholstered collection features button-tufted bench seat design with decorative nailhead trim and antiqued metal ferrule caps on wooden legs. 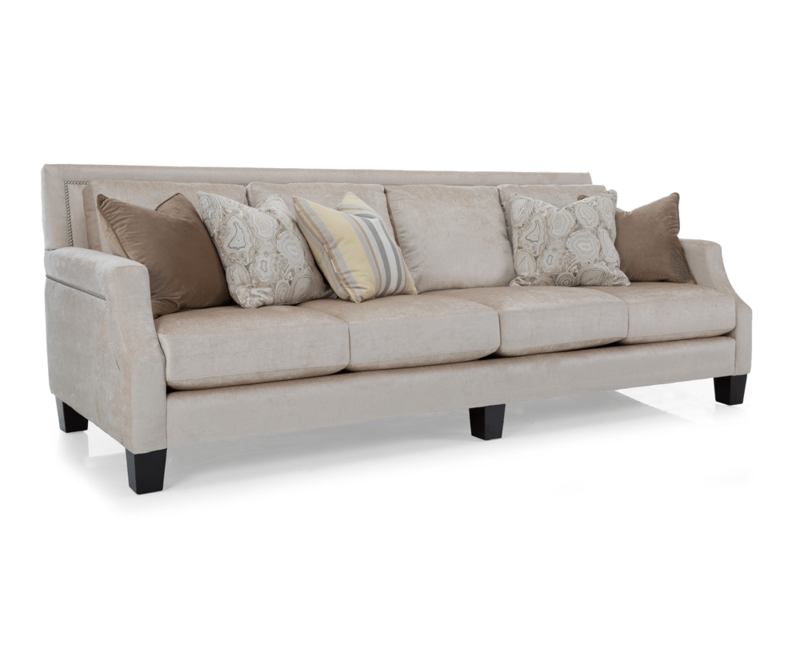 Exemplifying contemporary sensibility, the chair comes in a natural linen fabric body with metallic accents on the pillows. 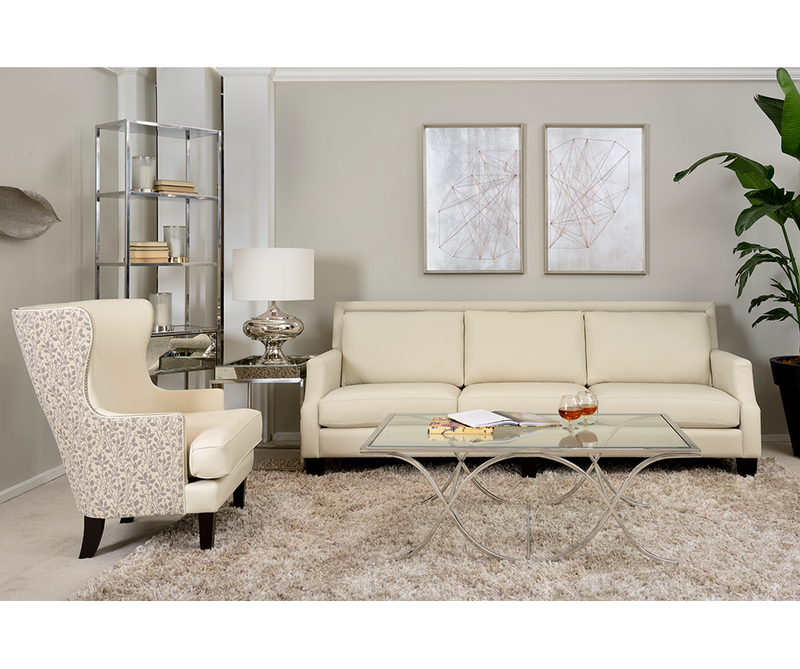 Pre-selected fabric and finish only as shown. 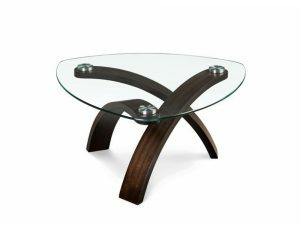 Striking and sublime collection. 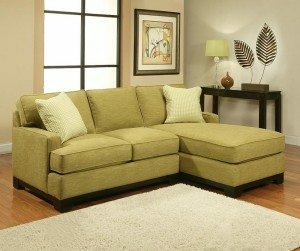 Features numerous comfortable pieces that you can arranged to suit your decorating needs. 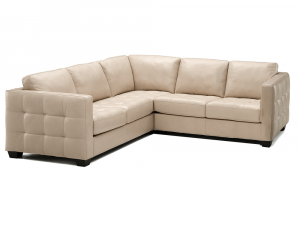 Custom fabric and leather options. 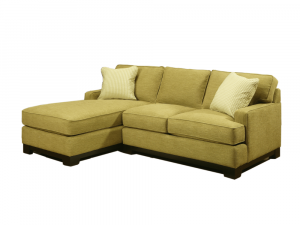 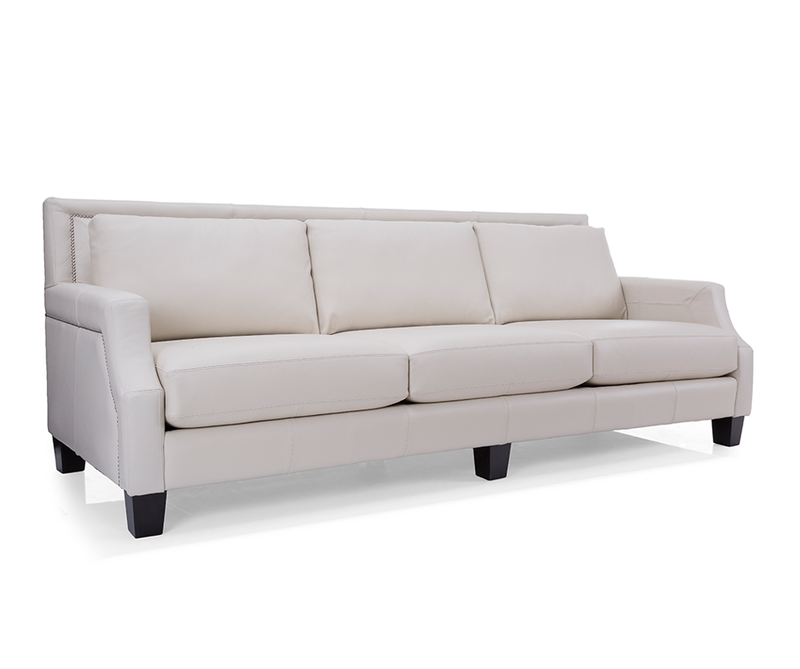 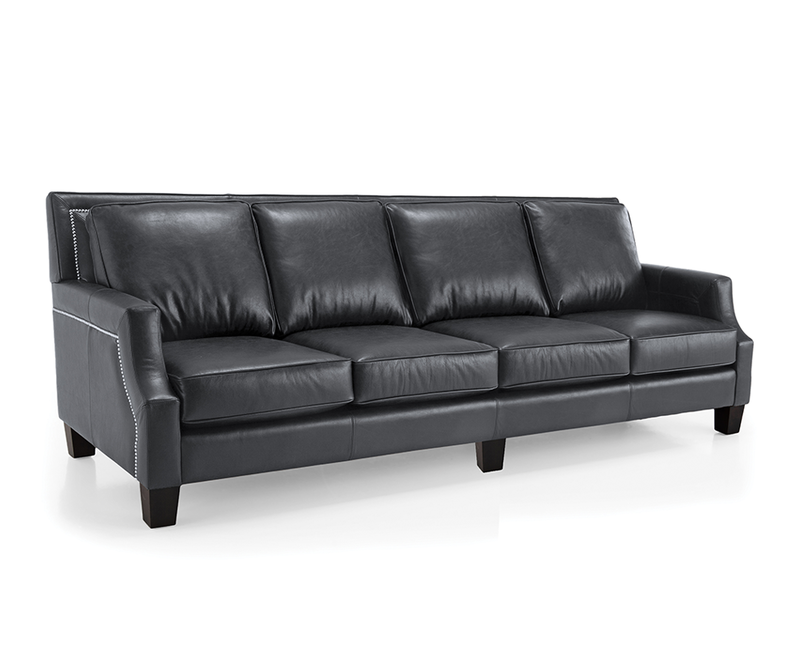 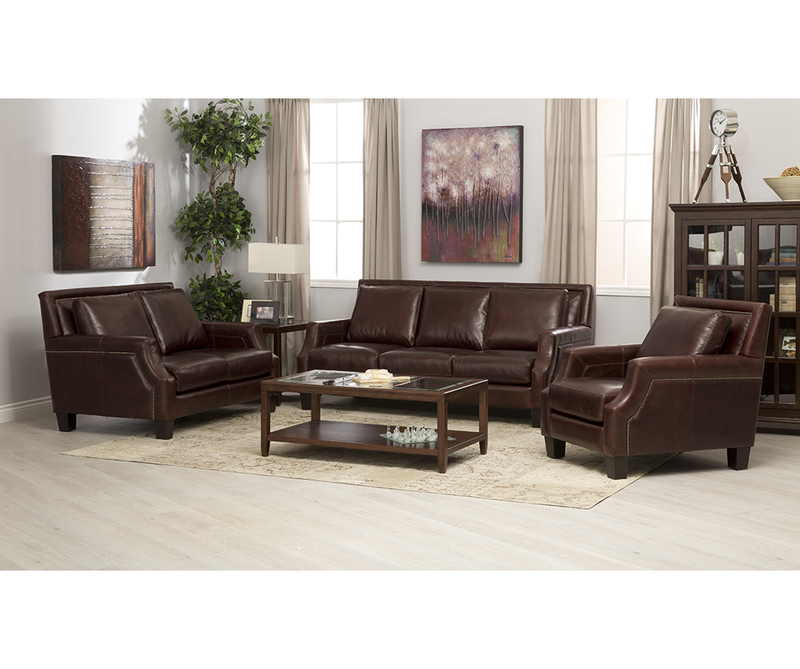 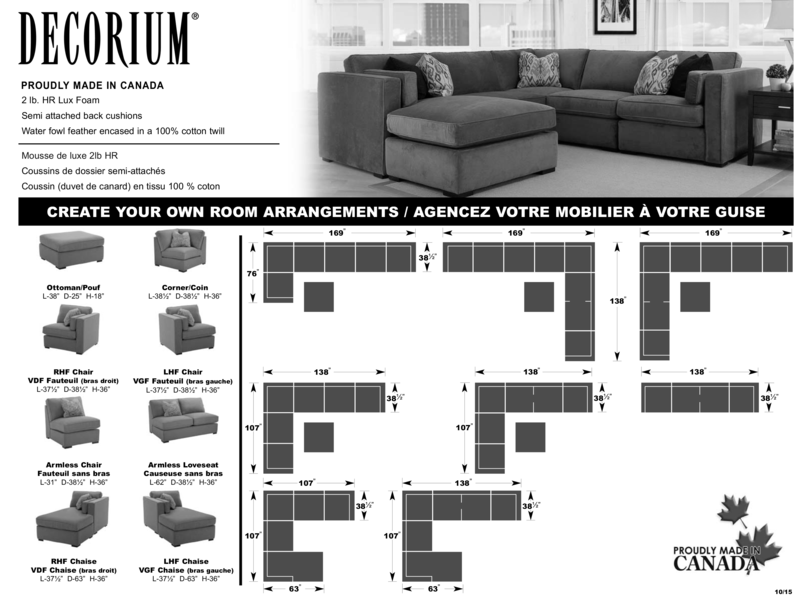 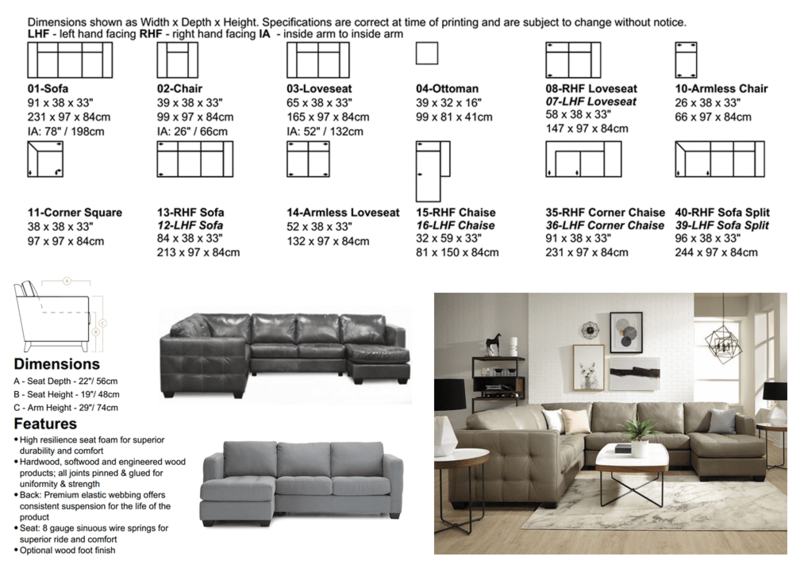 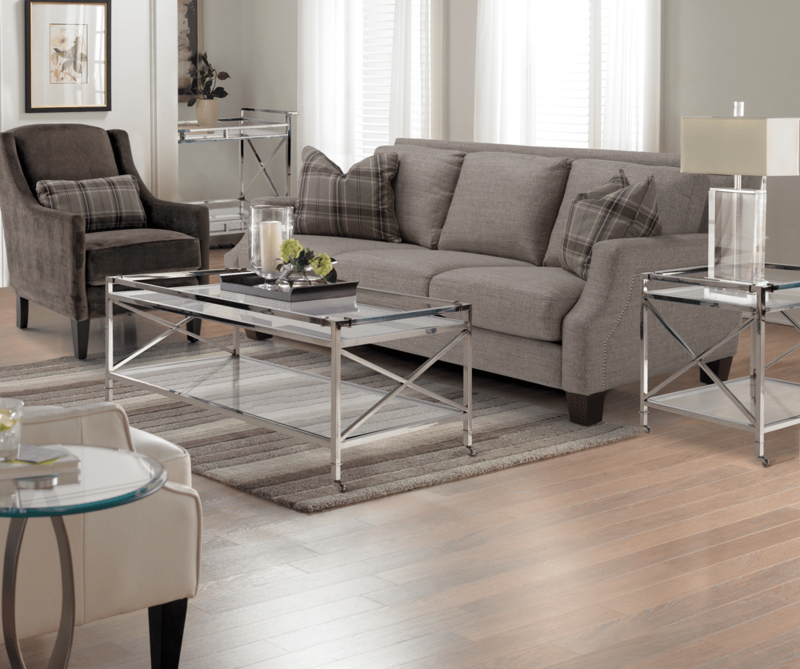 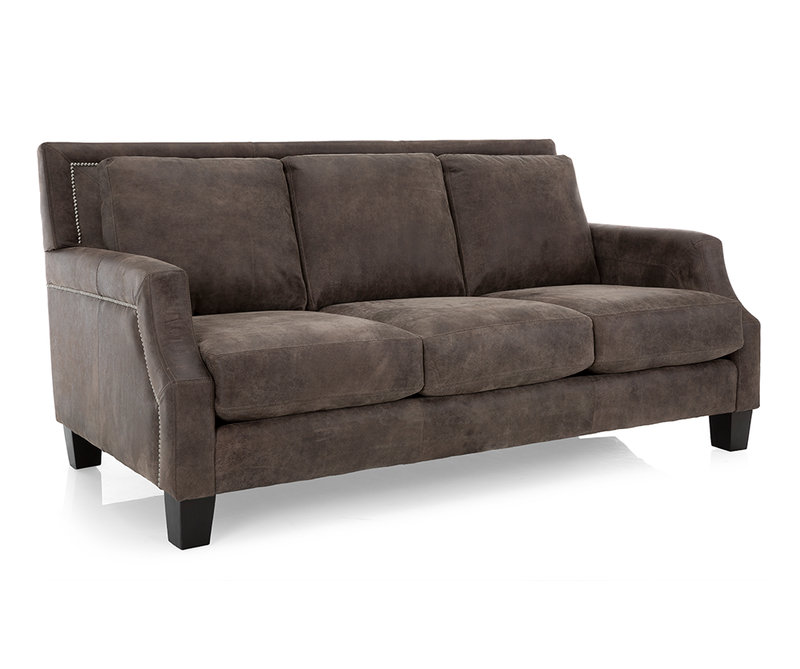 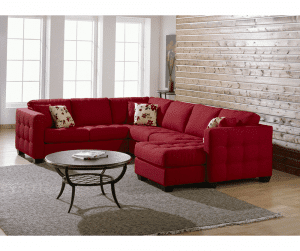 Available as a sofa, loveseat, chair and ottoman, as well as multiple sectional configurations. 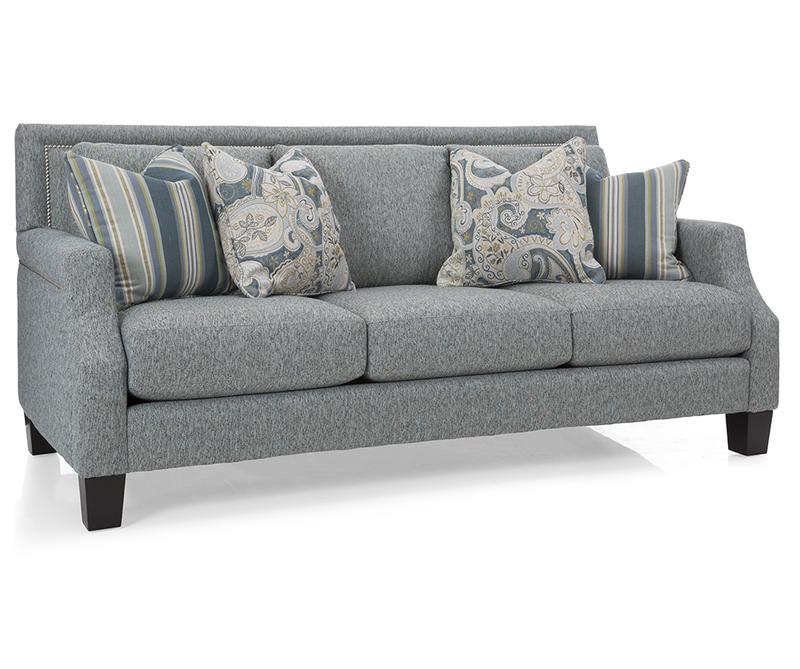 On display in-store as a 3pc. 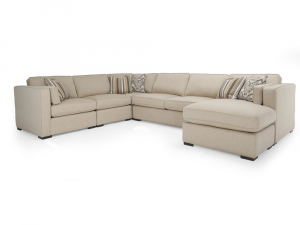 sectional, with LHF & RHF Love seat with corner bumper, in a Tulsa chalk grey leather.